Even the Democrats are beginning to realize their party is failing. While Nancy Pelosi and Chuck Schumer delude themselves and other 2018 hopefuls to come aboard their sinking ship, Hillary Clinton continues to insist she’s the one to lead them. And one rising Democrat has decided to chase Hillary Clinton’s financial backers all the way to a 2020 run against President Trump. Sen. Kamala Harris is headed to the Hamptons to take on Hillary Clinton’s biggest donors. Harris is becoming a star – within her own party of course. The recently and largely unknown senator made quite a stir in her borderline harassment line of questioning targeted at Attorney General Jeff Sessions during the Senate Intelligence Committee hearing. Liberals loved her hatemongering directed at Sessions because now she looks “tough”. Now she’s meeting with multi-millionaire presidential bid donors? Let’s not kid ourselves here, Harris is definitely running. “The Democrats’ ‘Great Freshman Hope,’ Sen. Kamala Harris, is heading to the Hamptons to meet with Hillary Clinton’s biggest backers. The California senator is being fêted in Bridgehampton on Saturday at the home of MWWPR guru Michael Kempner, a staunch Clinton supporter who was one of her national-finance co-chairs and a led fund-raiser for her 2008 bid for the presidency. He was also listed as one of the top “bundlers” for Barack Obama’s 2012 re-election campaign, having raised $3 million. 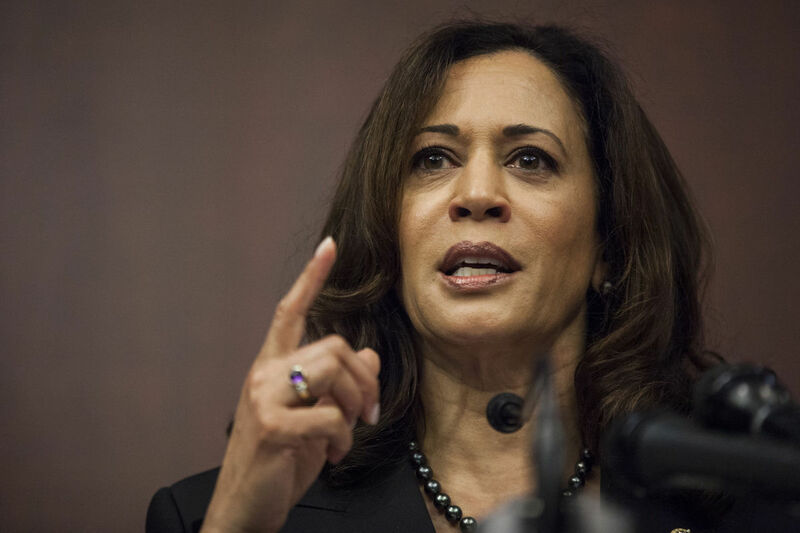 Harris, a 52-year-old former prosecutor and San Francisco district attorney who went on to become California’s attorney general, was a star of the Senate intelligence committee hearing into President Trump’s ties to Russia, grilling US Attorney General Jeff Sessions. Harris has denied having ‘national aspirations,’ but this Hamptons trip proves it isn’t far from her mind. A Democratic insider said, ­‘Kamala is the big Democratic star right now, at a time when they badly need a star. Harris likely loves this newfound national attention she’s receiving, but it won’t matter how much money she receives for a 2020 presidential bid. She’s going to get crushed by President Trump regardless. Sure, another black president. Like that’s going to happen any time soon thanks to Obama.